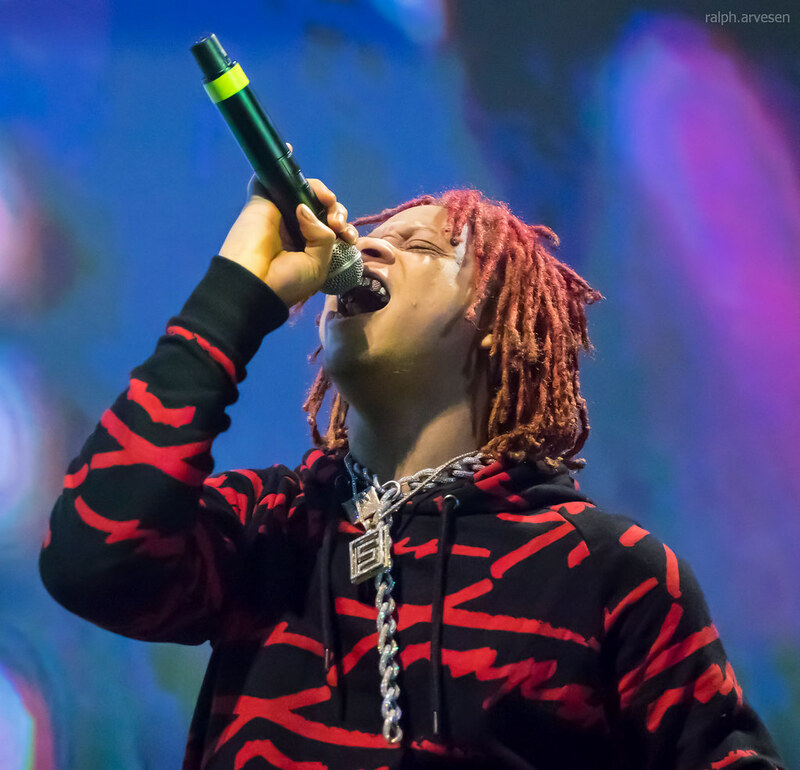 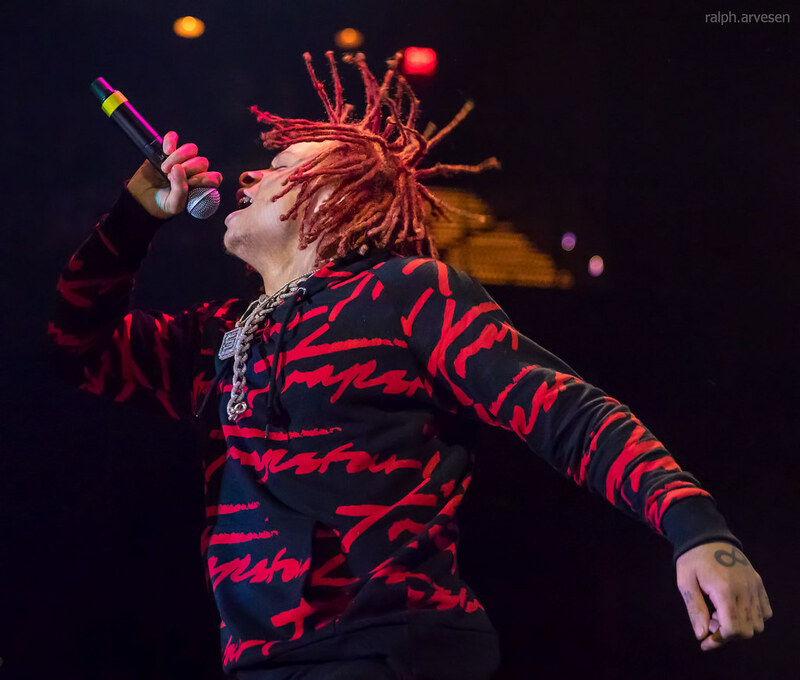 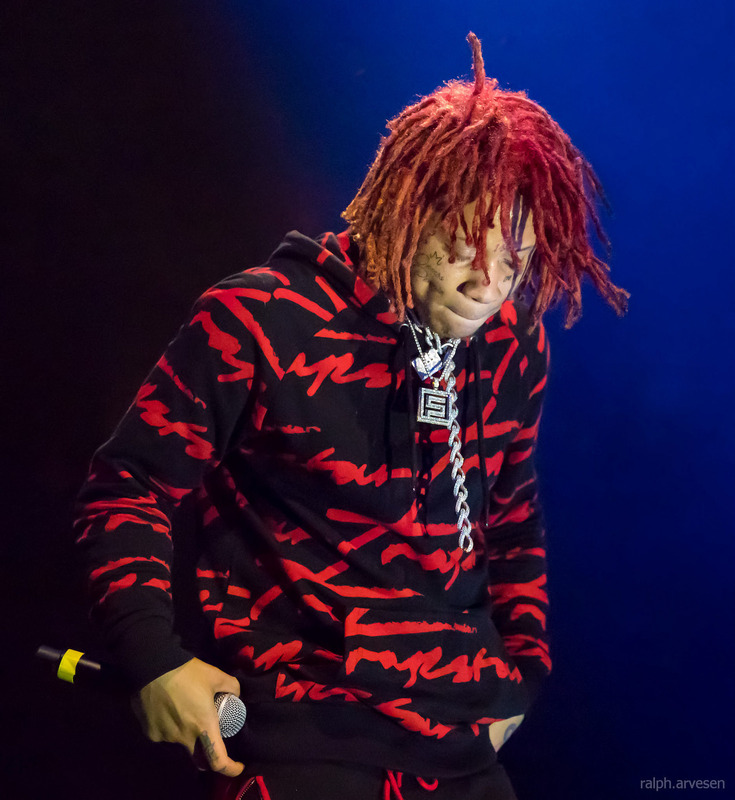 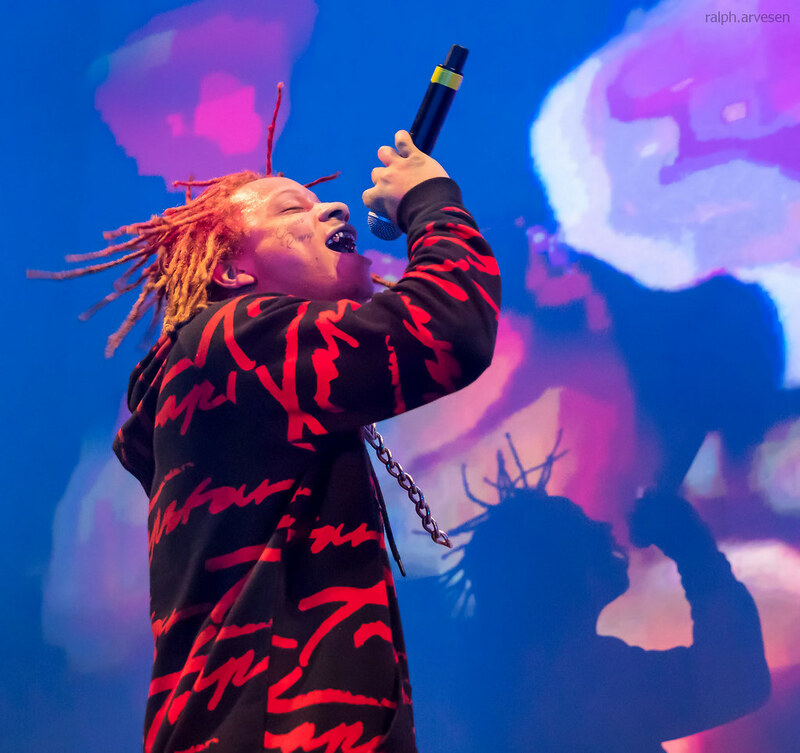 Trippie Redd performing at the ACL Live Moody Theater in Austin, Texas on February 18, 2018. 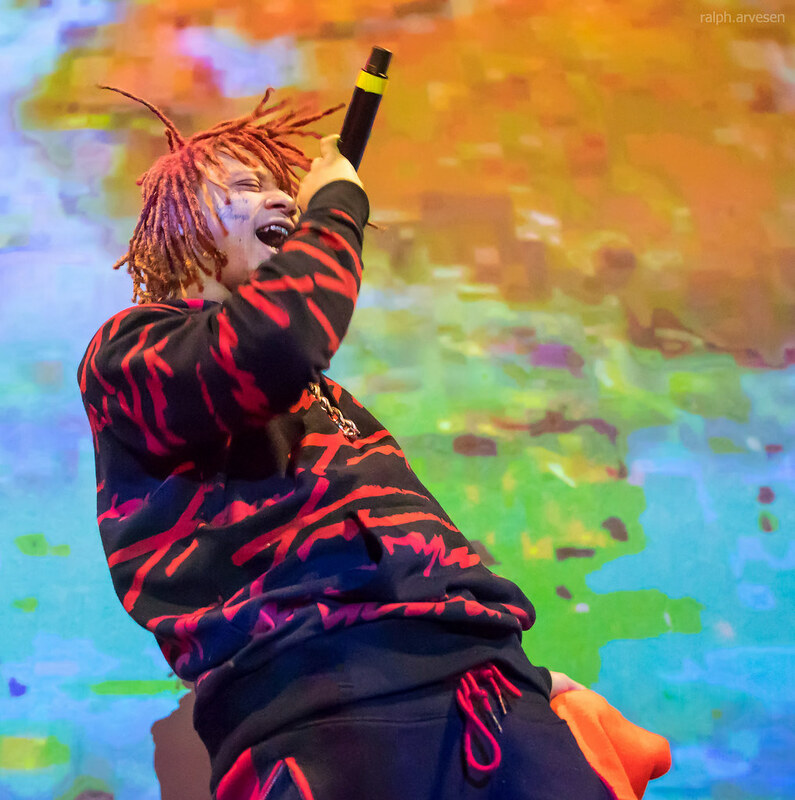 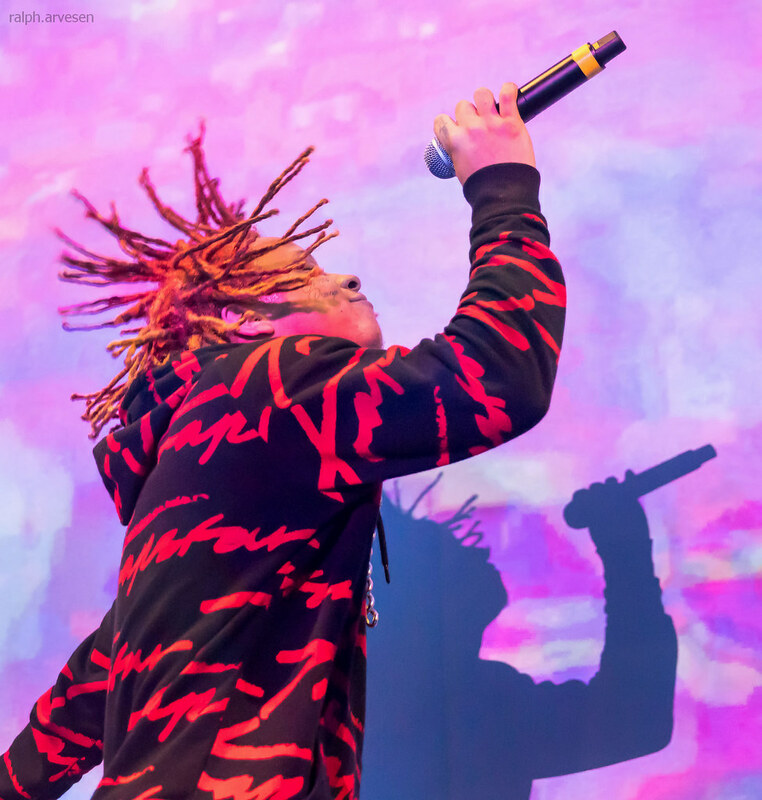 Originally from Canton, Ohio, rapper Trippie Redd (also known as Lil 14) first emerged in 2015 with a series of tracks online that hinted early on at the versatile style he would come to develop, one that blended elements of cloud rap and trap with the energy of punk and stadium rock. 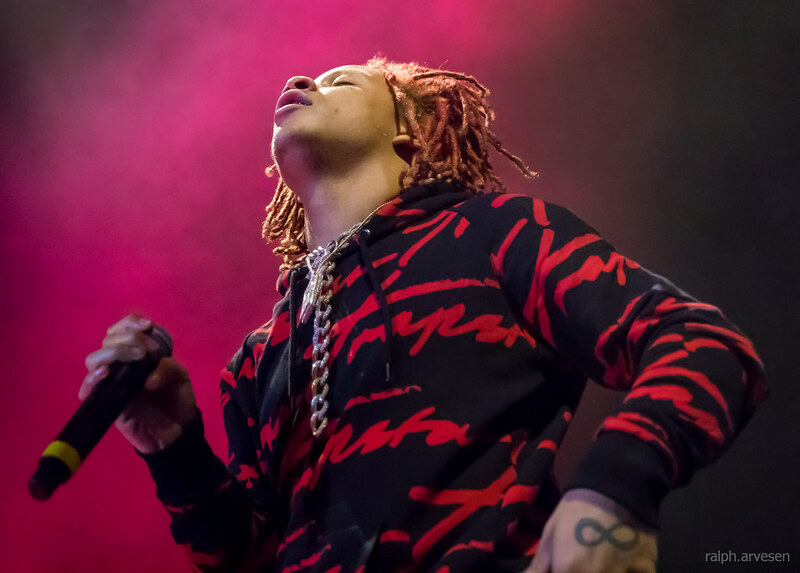 Born in 1999, Trippie Redd was still a teenager when his rap career started, and he began releasing mixtapes and videos that would eventually lead him to viral Internet success and a deal with the Universal-distributed label Strainge Entertainment. 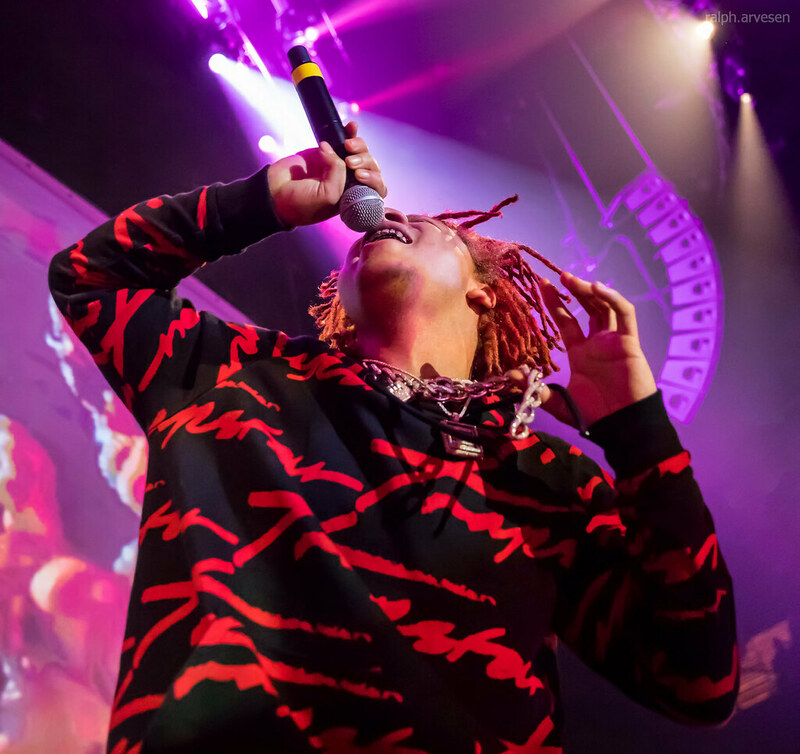 Trippie Redd shared the stage with G-Eazy, Phora, and Anthony Russo at the ACL Live Moody Theater. 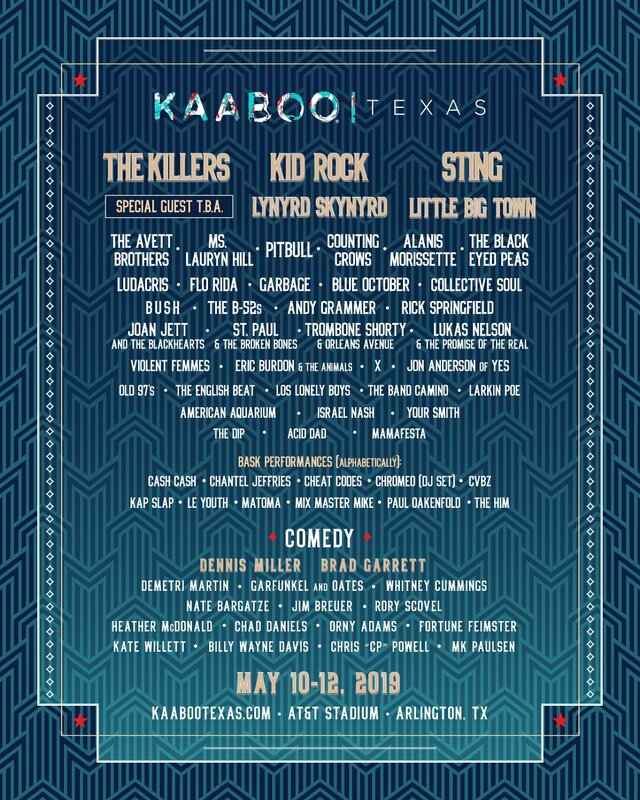 The band continues across the United States, Canada and Europe with the last stop at the Wireless Festival 2018 in Finsbury Park, London on July 6, 2018.